While reviewing Apple’s latest ultraportable, The Verge carried out its usual tests to find out just how much battery life users could expect to get. This involves setting the display to 65% brightness and cycling through a series of websites until the battery dies. Using Apple’s own Safari browser, the MacBook lasted for 13 hours and 18 minutes before it switched off. But when running the same test with Google Chrome, the MacBook gave up after just 9 hours and 45 minutes. That’s a pretty significant drop just because of a different web browser, and it perfectly demonstrates that while Chrome is an excellent browser, it’s not as efficient as it should be on a Mac. It’s not as speedy as Safari, either. The Verge also ran a SunSpider benchmark test on a MacBook Pro, and found that while Chrome clocks in at 203ms, Safari was 30% faster with a time of 144ms. Chrome has been my favorite browser for as long as I can remember — for a number of reasons — and at this point I can’t see myself switching back to Safari. Not only is Chrome available on all the platforms I use, meaning I can access my favorites and open tabs no matter which device I’m using, but I find it’s better than Safari at other things — such as managing tabs. It also boasts better extensions. But when I’m away from my desktop and using my MacBook Air — which has a more powerful processor than the new MacBook — Chrome has a noticeably greater impact on performance and memory usage than Safari does. 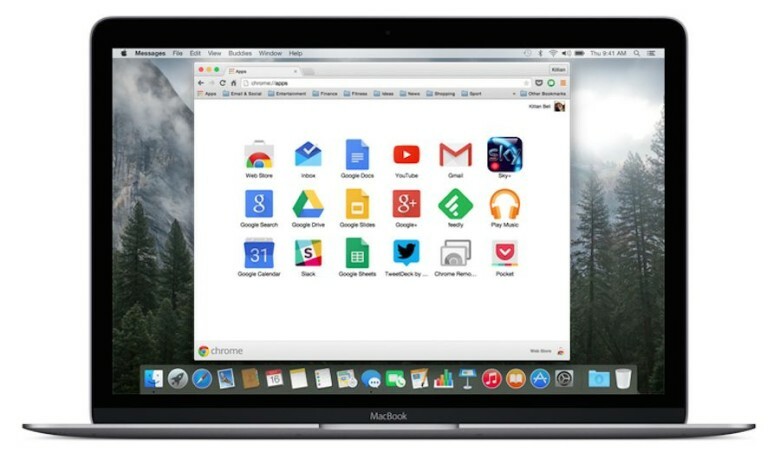 Perhaps the new MacBook will persuade Google to finally address Chrome’s niggles under OS X, but I wouldn’t count on it. If you’re adopting Apple’s new machine and you value battery life, then, it’s probably best to avoid it if you can.